When Huntington Foam reached a near-breaking point in 2007, investors wondered if its VP of sales could turn the company around. Giving Gary McLaughlin the benefit of the doubt turned out to be the best move possible. 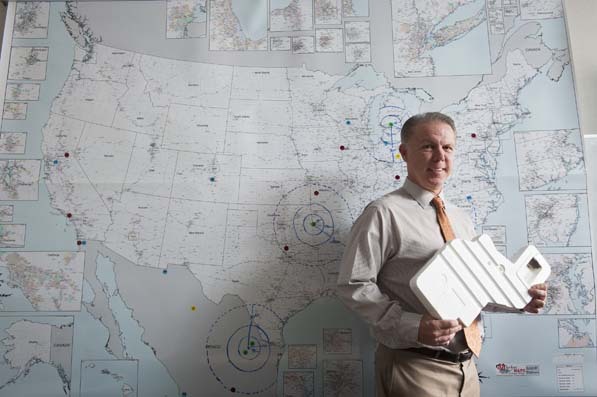 After joining custom-shape foam-molder Huntington Foam in 1996 as vice president of sales, Gary McLaughlin helped the company swell from $4 million to $25 million in annual revenue in six years. Despite its ample growth, Huntington went into a voluntary receivership in 2007. When the company’s new shareholders, in the wake of staff member terminations, called him into a Saturday morning meeting, McLaughlin expected to be laid off. Impressed with his Huntington know-how and three decades of experience in the industry, they instead named him president. Now, roughly five years later, Huntington Foam is on track to reach nearly $55 million in sales. In addition, it has grown from 250 employees in 2007 to 420 today, with five plants in the United States and Mexico. To meet client and production needs, Huntington’s shareholder, Treadstone Partners, approved investments to help refurbish facilities and equipment. Three members of the Dallas-based company also acted as de facto mentors to McLaughlin when he took over as president in 2007, assisting with key decisions and operational aspects. As he began to rebuild the company, McLaughlin rehired a number of dedicated employees who had been let go. “Coming from the industry, I knew where people had landed and was able to rustle the weeds a bit, find them, and bring them back in,” he says. McLaughlin says he had occasional doubts during his first year at Huntington’s helm. Still, as all the staffing and financial pieces fell into place, McLaughlin’s confidence grew. By 2009, the company’s plants were again fully operational, and McLaughlin traveled frequently to Mexico to ensure the plant’s employees felt like they were part of the Huntington team. The company continued to expand its relationships with clients and vendors in Japan, South Korea, Canada, and South America. Huntington also kept producing the innovative, clear-view packaging product line that it had introduced in 2007, which lets manufacturers wrap appliances in a foam skeleton and transparent film to save on shipping and to easily see transport-related damage. McLaughlin is a big believer in visual aids—he describes his office, which is decked out with six whiteboards and a map of North America marked with the locations of competitors and customer locations, as a war room. So it’s not surprising that his first concrete recovery signs came from McLaughlin’s many charts mapping the company’s progress. “I knew we had turned the corner just because everything was trending in the right direction, finally,” he says. McLaughlin means that literally—he carries around a pocket notebook to jot down his personal daily goals and encourages other Huntington employees to also track their tasks. And though the lists may be different than they were five years ago, the projected growth that McLaughlin’s got in mind means they’re no less important.